Learning to dive is fun! Doing your PADI Scuba Diver course will be an unforgettable experience, try it and see! 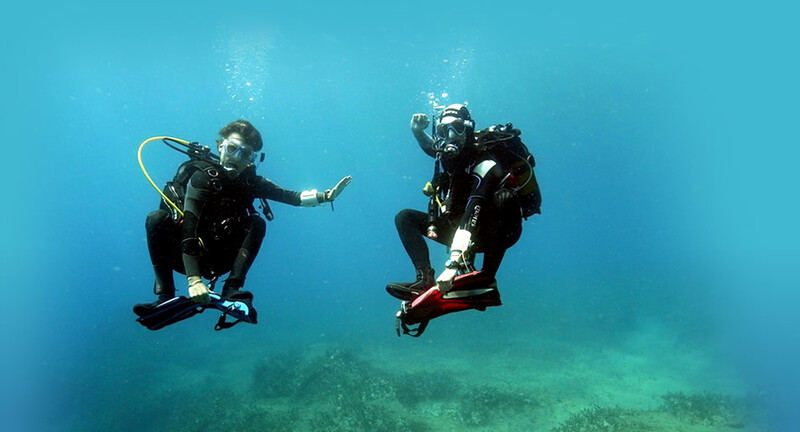 Join a course at our diving school and you will meet fun, like-minded people! Through doing the PADI Scuba Diver course you will learn the basic skills of scuba diving, to have even more fun underwater! Then the PADI Scuba Diver 3 day course offers you a unique solution! Children aged between 10 and 15 will get a PADI Junior Scuba Diver certificate. This certificate is equal to the PADI Scuba Diver certificate and will change automatically when the child becomes 15 years old. Theory - Create a foundation! The 3 theory sections create the knowledge and understanding that you will apply during your pool and open water dives. If you would rather spend your time in the water instead of our classroom, check out our ::study at home:: tips. During 3 shallow water training sessions you will be preparing for your open water dives. These lessons in sheltered water will build your confidence and have you look forward to the real thing! Time to begin exploring the underwater world and to get acquainted with the beautiful underwater life that surrounds you! While applying your trained diver skills you finish your course with some fun dives under the supervision of a PADI professional. If you didn’t have time to reach your Open Water Diver goal then this is your chance! Why not take the next step in your diving career and reach that next certification level? The PADI Scuba Diver to PADI Open Water Upgrade will expand your knowledge and experience giving you so many more diving opportunities!